Handsome Guy Standing Holding Guitar Against The Brick Wall Posing Look Away. Relaxing Holiday. Banco De Imagens Royalty Free, Ilustrações, Imagens E Banco De Imagens.. Image 77500998. 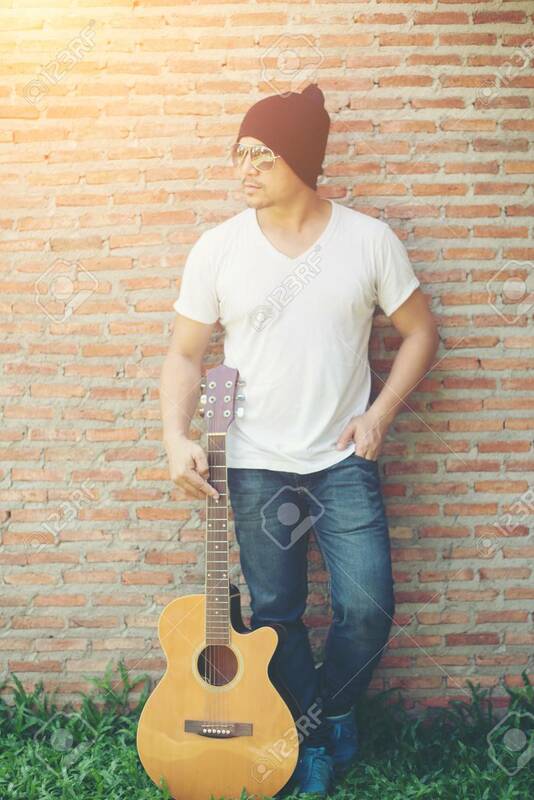 Imagens - Handsome guy standing holding guitar against the brick wall posing look away. Relaxing holiday. Handsome guy standing holding guitar against the brick wall posing look away. Relaxing holiday.